We understand how special time is on holiday, so to ensure you have a chance to really relax all of our cottages are fully equipped with all modern amenities. Our luxury bedding is comfortable and inviting to ensure you get the best possible nights sleep, towels are also provided. Bath with shower, Free Wifi, Freeview Tv with Dvd player, Full central heating, Ipod docking station, Electric cooker, Fridge, Microwave and Dishwasher. Irfon sleeps two people with its cosy open plan layout. The cottage is perfect for two friends or a couple. Two extra people can be accommodated on a sofa bed in the lounge area available by request. The bedroom has a superking bed which can also be arranged as twin beds. The bathroom has a bath with shower over. The newly fitted kitchen is well equipped with the living area comfortably furnished. The patio doors lead out from the living area to a patio and garden with stunning panoramic views, a perfect place for alfresco dining a BBQ and Fire Pit is provided. Your own private hot tub is on the patio, a walk to the bottom of the garden where there is a pond that our ducks like to bathe in. Free Wifi, Freeview Tv with Dvd player, Full central heating, Ipod docking station, Electric cooker, Fridge, Microwave and Dishwasher. A spacious self catering cottage that will comfortably accommodate 6 people in two twin bedrooms and one double bedroom all with en-suite wet rooms, two with disabled facilities. Two further people can be accommodated on a sofa bed in the lounge area available by request. The large comfortable open plan living area leads out to a patio and garden with panoramic views a perfect place for alfresco dining a BBQ and Fire Pit is provided. Your own private hot tub is also on the patio where you can relax in the evening under the stars. Inside there is a wood burning stove giving a warm homely cosy feel. 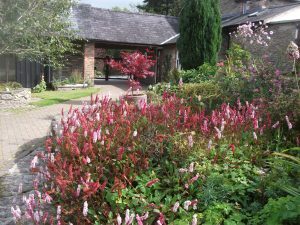 This cottage has been specially designed to provide accessible accommodation for the wheelchairuser (an access statement is available). The Laundry – The laundry room has a washing machine and a sink to wash dirty boots after a lovely walk in the hills. 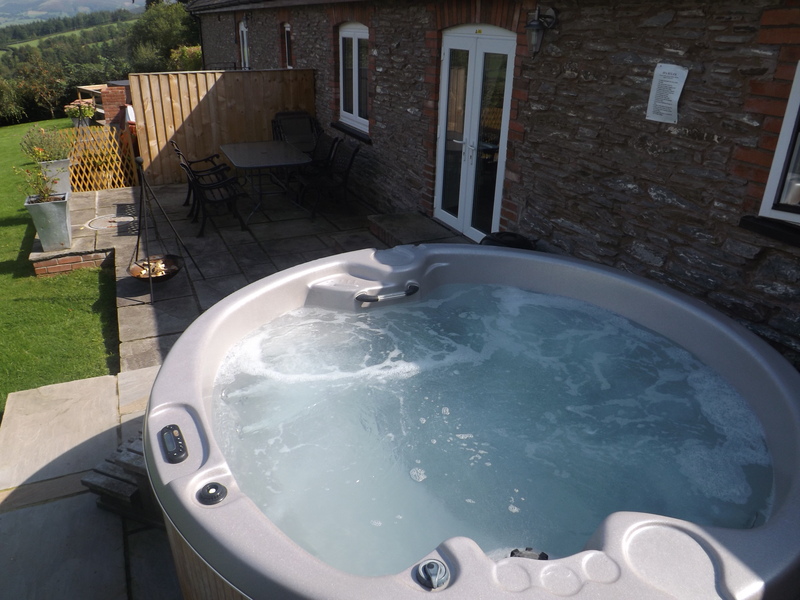 The luxury hot tubs are situated at the back of the cottages with stunning views over the mountains. The perfect spot to sit back and relax!